One of the most popular spirits in Italy, well known for its distinctive bottle shape and logo. A high quality of brandy, this has been distilled in the same manner as Cognac, with a production technique known as the Charentais method: involving double distillation in copper stills. The brandy is made from Ugni Blance grapes, better known as Trebbiano in Italy. This grape typically produces a high acidity, ideal for the production of brandy. Becchia Romagna has been aged for a minimum of 10 years in Limousin French oak casks, producing a deep complexity, with notes of toffee, dried fruits, grapes, old oak, chocolate, citrus peel, red berries and vanilla. 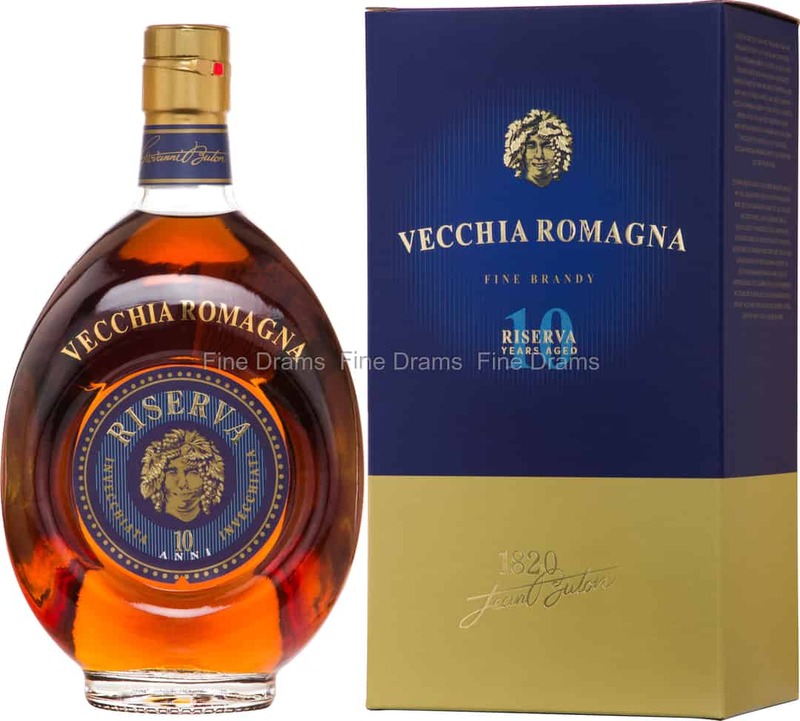 An excellent Italian brandy that is on a par with many Cognacs. The logo features Bacchus, the god of wine and drinking, and he’d certainly approve of this delightful drop.